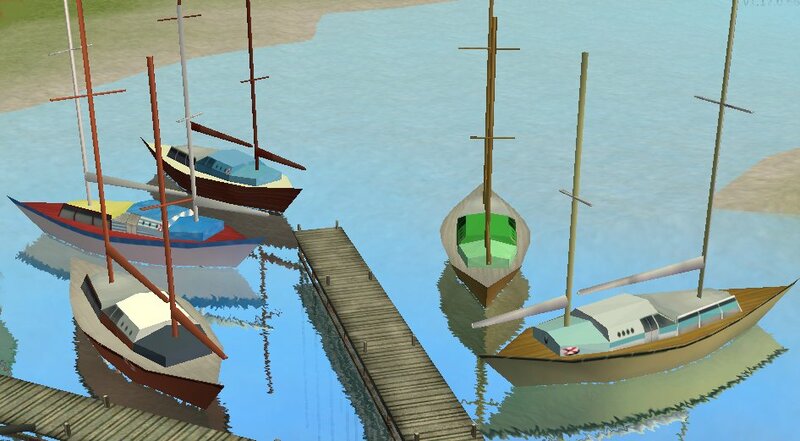 Criquette made these awesome neighbourhood deco objects in his marina set. 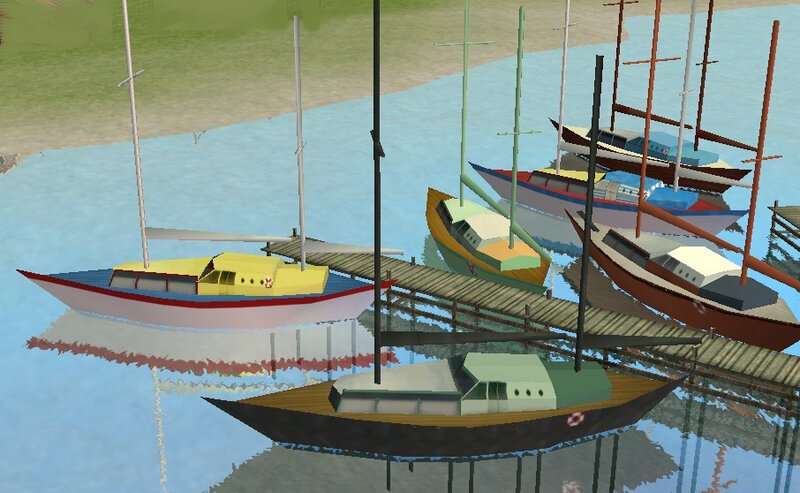 One colour is just not enought, though, so here are 8 new fishing boats and 8 new sailboats. 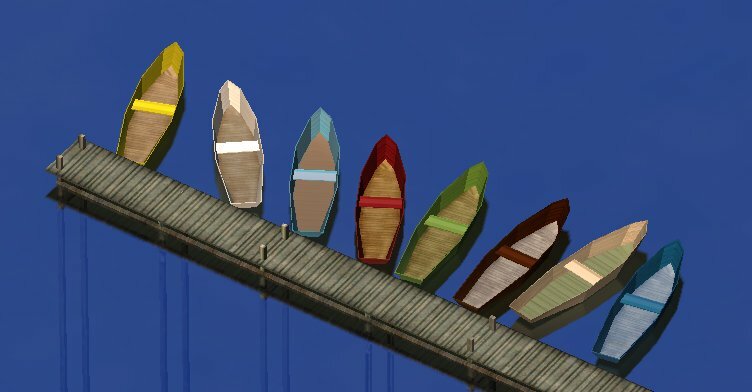 They are clones or the originals (only way to make new colours), so no other mesh is needed. They show up under "Miscellaneous". "I've set Night Life EP as required for using this decorations, but the idea is that you need at least one of any EPs installed, to have this decoration available from 'hood decorations menu." 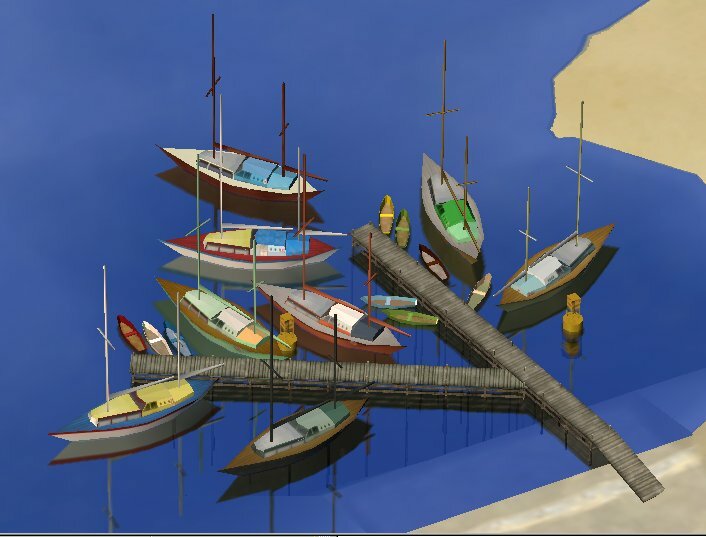 Images were taken using the piers in Criquette's set linked in the first sentence. File names are pretty self-explanatory. Files are Compressorized.